The E580-2 is a 5.8 GHz cordless accessory handset for use with AT&T's E5860, E5865, E5900B, and E5965C expandable phone systems (required, sold separately). These base systems support up to eight handsets, giving you the flexibility to place an extension wherever you need one, without an additional phone jack. By utilizing the 5.8 GHz band and frequency-hopping digital spread spectrum technology, the E580-2 offers clearer reception and less interference than traditional 2.4 GHz and 900 MHz models. Caller ID and call waiting compatible, the E580-2 has a 50-number caller ID memory, as well as image ID and personalized ringer options. The LCD with graphical display has an icon-driven menu to help you navigate the phone's functions, while a 50-number internal phone directory helps you to keep track of all your important phone numbers. Vibrating ringer and polyphonic musical ring tone settings are available, and a headset jack allows you to connect an optional headset for hands-free communication. You can retrieve messages from the base unit using the handset, while the intercom feature allows you to speak with other handset locations. With conferencing, you can speak to multiple parties at the same time, and a call transfer function lets you route incoming calls to another handset. An illuminated keypad is provided for ease of dialing, and a low battery indicator lets you know when to return the base to its handset for recharging. Flash, hold, mute, and redial (last 10) buttons are also provided. The E580-2 comes backed by a one-year warranty. 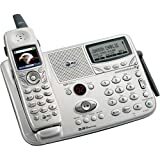 The E2600B from AT&T is a 2.4 GHz cordless phone with an integrated answering machine, an extra handset and charging cradle, and caller ID/call waiting compatibility. By using the 2.4 GHz band and frequency-hopping digital spread spectrum technology, the phone offers clearer reception and less interference than traditional 900 MHz phones. With caller ID/call waiting capability, you can see who is calling, while the 50-number caller ID memory provides a list of all recent incoming calls. A 50-number phone directory helps you to keep track of important phone numbers. The handset and base LCD screens with graphic display make navigating the phone's many functions easy. Speakerphones on both the base and handset, as well as headset compatibility, provide hands-free communication options, while an any-key answer feature lets you pick up incoming calls by pressing any button on the handset. An illuminated keypad makes dialing a snap, even in dark environments, and the redial button lets you easily call any of the last 10 outgoing numbers. Multi-user expandability to eight handsets (two included) lets you place phones wherever you need them. Intercom, conferencing, and call-transfer features let you route incoming calls and speak with other handset locations. 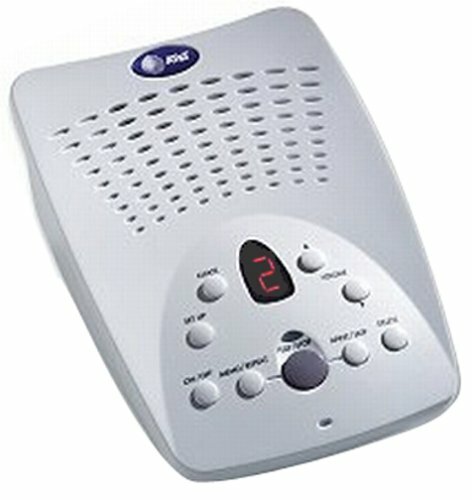 The all-digital answering machine provides up to 25 minutes of recording time, and voice prompts help you navigate your messages. A time/date stamp lets you know when each message was received, while remote operation allows you to check your messages while you are away from home. The E2600B has an 8.5-by-8.7-inch footprint and is also wall-mountable, helping you to keep desktop space free from clutter. It comes backed with a one-year warranty. The 1465 from AT&T is a 2.4 GHz cordless phone with an analog clock display, caller ID/call waiting capability, and a built-in answering machine. It utilizes the 2.4 GHz frequency to provide a more powerful signal than traditional 900 MHz phones. With its 50-number phone directory, you can keep track of important phone numbers, while a 90-number caller ID memory displays the names and numbers of all recent incoming calls. Nine one-touch memory buttons provide an easy way to dial your most frequently used numbers, and a redial feature lets you call the last outgoing number with the touch of a button. A handset control lets you adjust volume levels, while the lighted keypad helps you to dial even in the dark. With any key answer, you can pick up an incoming call simply by pressing any of the handset buttons, and the handset LCD menu provides a convenient way to navigate the phone's many functions. A page button on the base makes finding a misplaced handset a snap, while headset compatibility provides a hands-free communication option. 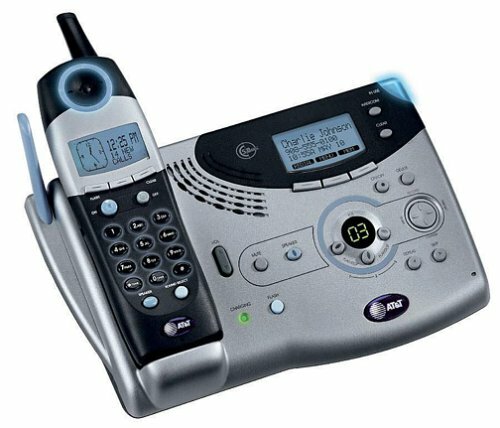 The all-digital answering machine has up to 15 minutes of recording time, and features voice prompts to help you manage your messages. A time/date stamp lets you know when each message was received, while remote operation allows you to keep track of your messages while you are away from home. The 1465 also comes backed by a one-year limited warranty. 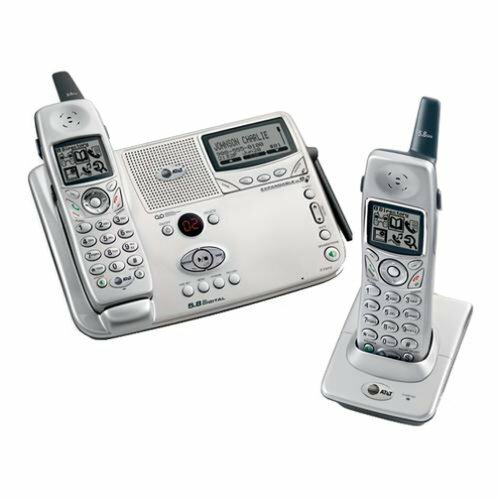 The E5865 from AT&T is a 5.8 GHz cordless phone with an all-digital answering system, dual keypads, and caller ID/ call waiting compatibility. It utilizes the 5.8 GHz band along with frequency-hopping digital spread spectrum technology to provide clearer reception and less interference than traditional 2.4 GHz or 900 MHz phones. The answering machine provides up to 25 minutes of recording time, while remote operation lets you check messages even when you are away from home. Speakerphones on both the base and handset combine with headset compatibility to provide hands-free communication options, while the LCD on the handset provides a way to navigate the phone's many functions. 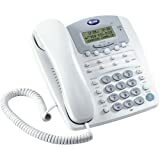 Caller ID and call waiting compatible, the E5865 has a 50-number caller ID memory, as well as a 50-number internal phone directory to help you keep track of important phone numbers. Personalized ringing options allow you to assign any of the polyphonic musical ring tones to a phone directory entry, letting you know when a specific phone number is calling. With multi-user expandability to eight handsets, you can add extensions to your system wherever you need them. Intercom and conferencing functions allow you to communicate between handset locations or with multiple parties at once. The E5865 has an 8.5-by-8.7-inch footprint and is wall-mountable, freeing up countertop space completely. It also comes backed by a one-year warranty. I have delayed adding my review of the AT&T 2462 system while giving AT&T time to make good on their warranty. They have tried but an inferior product has caused them to fail. I initially bought the base system with 2 additional handsets to use in my small business. From a phone aspect this has been a very good system. 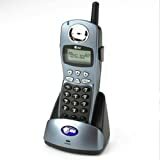 Call sound quality, handset range and battery life, speaker phone on both base and handset, intercom/paging work fine. But the answering system is TERRIBLE. The sound quality of your recorded greeting is worse than most tape based devices. Sound qualtity of incoming messages (when they can be left) isn't much better. The biggest problem is the total unpredictability if the answering system will work at all. Most of the time when the answering system kicks in it will play the first 1-3 seconds of your greeting then disconnect the call. Or, it will allow someone to begin leaving a message then abruptly disconnect in mid-message. Trying to retrieve messages remotely can take 4 or 5 tries before you proceed far enough to enter your access code. Then you wonder how many incoming calls encountered this nonsense before your tried to access messages. Once back in the office the call log gives you an idea of how many others encountered the same problem. And, I have been through 4, count'em 4 base units that have all done the same thing. I have given up on the 2462 to take my messages and am using an old digital answering machine for messages. I am stuck with this unit. All AT&T can do is send another swapout unit and I'm tired of spending time starting over. They won't buy it back and it's too late to return it. If your looking for a good 2-line remote handset phone, the 2462 does well, if you need to rely on it to collect and allow remote retrieval of messages look elsewhere. This phone could have been a dream phone with a few modifications. The quality of the voice on handset and the speakerphone was outstanding. Very elegant design without extraneous or garish buttons. Very easy to use. Here a few of the flaws which I hope will be fixed in a future edition, because this is greazt phone. The inconvenient call back that doesn't autmatically add a 1 for long distance that was mentioned below, although the redial works nicely. No remote monitoring feature for the answering machine which could easily have been added and has been around for years and is great if you want to listen in on your apartment while you're away. No time display which other phones have. ALso no elapsed duration of calls which would have been easy to add. Although the handsets are beatiful and have nice weight, rather anoyingly there was no way to turn them off without removing the battery. THe off switch is a misnomer as all it it does is hang up the phone. The phone stays on constantly comunicating with the base. THis brings me to the most serious problem. THe base is always in touch with the handsets constantly sending out a barrage of microwave radiation unecesairly. It would be far better if the base just waits to be contacted by a handset or only when an incoming call is sent. Even if you yank the battery form the handset, the base still tries to find it sending out nonstop microwaves. This is pointless and proabbly only offer minor speed efficiency which is given up in the loss of battery power. Nice features are the distanceis awesome as is th4e sound quality. There is a also a spare battery charger in the base which doubles as a power failure back up. The ability top record 4 minutes of conversation. Easy to use directory and call history. I hope the y keep the phone exactly the way it is but add these features. I can't beleive I actually spent this much money for a phone, but I don't regret it. I just moved into an old house and discovered that only one of the 5 phone jacks actually works. This phone solved that problem. We plugged the corded base into the working phone jack, and put cordless handsets in every other room. Lots of neat features, like playing back messages on speaker through the cordless handsets. My only criticism is that the corded handset feels a little wobbly when you hang it up. Simply put, great phone. Distance is great, clarity is great, button feel is great, speaker on the handset is an AMAZING treat. Before I got it I felt I'd paid too much, about 200 bucks, but it was worth every penny. I'd give it a 4.75 just for not automatically adding a 1 to the caller id callback numbers, but amazon doesn't support 4.75s! 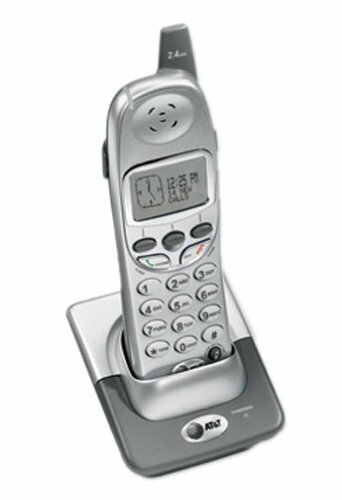 The two-line AT&T 2402 expansion handset is designed to work alongside a maximum of seven other handsets as part of your new or existing AT&T 2462 corded/cordless digital answering system. 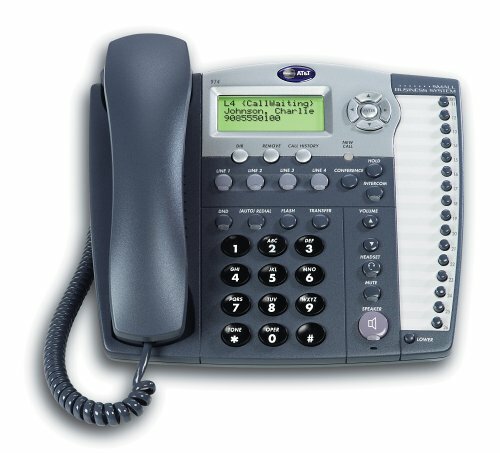 As with that system, the cordless handset gives you enhanced 2.4 GHz digital spread spectrum technology, on-hook dialing, display and dial, and a lighted keypad. I use this phone at work. It works great. Volume, caller ID, redial are all working well. Battery stays charged even when I forget to put it on the base when I leave at night. The battery life display is very helpful! We do not have a wireless net work so I can't speak for that type of interference but it sits next to my printer, under the copier/fax and next to my desk with my computer and it's clear as a bell. You can't get too far (go outside to the parking lot) away from the base but isn't that true of all of the portables? Like it enough to buy more handsets! Bought this phone several months ago, and now I'm ordering more of the expandable handsets as my other 2-line phones wear out. It works great....and I really like how the handsets take up little space and only need an electric outlet. You can even put them in the bathroom!!! Great product. 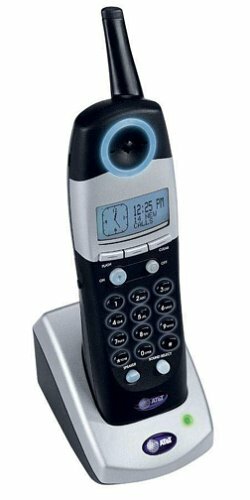 A two-line corded/cordless phone system from AT&T, the E2562 is an ideal model for today's busy household or small office. With an all-digital answering system and multi-user expandability eight cordless handsets (one included), the phone offers both flexibility and convenience. By utilizing the 2.4 GHz band and digital frequency-hopping spread spectrum technology, the E2562 offers clearer reception and less interference than traditional 900 MHz phones. The digital answering machine provides up to 25 minutes of recording time, while a remote message check feature lets you keep track of messages even when you are away from home. 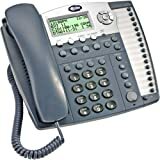 Caller ID/call waiting compatible, the E2562 has a 50-number caller ID memory, while a 50-number phone directory provides an easy way to keep track of important phone numbers. The base unit has a data port which can be used to hook up external devices such as a fax machine. A speakerphone on both the base and handset combine with headset compatibility (also on both the base and handset) to provide hands-free communication options. Handset and ringer volume controls are provided, while an illuminated keypad makes dialing easy, even in dark environments. An intercom function lets you talk between handset locations, while up to seven-way conferencing allows you to communicate with multiple parties at the same time.The E2562 also comes backed with a one-year warranty. 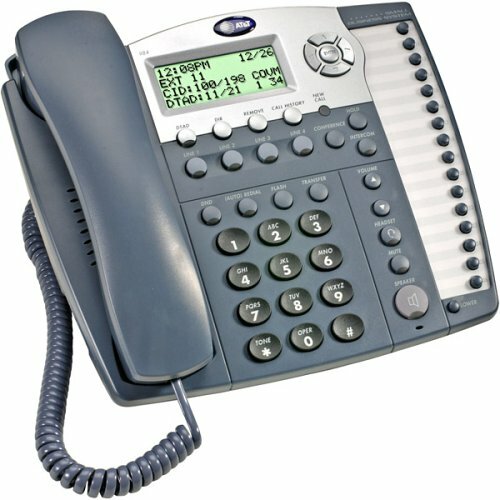 The AT&T 5800 is an expansion handset for use with AT&T 5.8 GHz models 5830 and 5840. You can add up to five 5800 handsets to your base station (not included) for a total operating capability of six handsets. 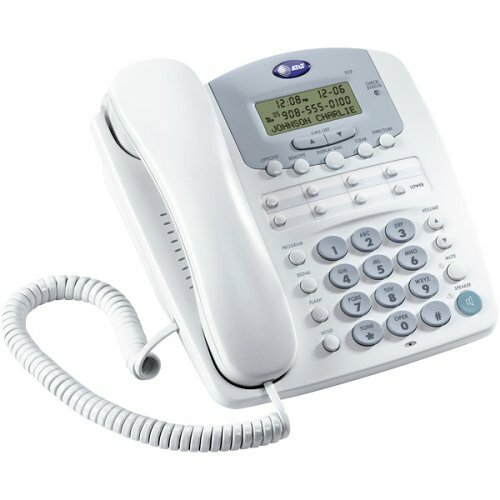 The expansion handset's LCD provides caller ID/call waiting information (subscription required). Enhanced audio technology derives from advances in acoustic design that have improved the frequency response relative to conventional cordless phones. The Sound Select feature offers four different audio settings: bass, mid, treble, and natural. The handset receiver lights up with incoming calls or can be set to vibrate. It stores 50 names and numbers and works with your caller ID service to remember the last 50 callers. A spare-battery charging system enables the telephone to work even in a power outage. Choose from eight ringer melodies. Other features include a 50-name-and-number caller ID history, a lighted display, and a visual message-waiting indicator. I'm fussy about small buttons, hard to program menues, poorly lighted dials....this phone has none of that! The talking caller ID on the base unit is terrific and the plug in add-on units are very convenient. Very good reception, easy to use call log...I like this phone a lot!! Getting closer to the perfect phone. I am a certified phone fetishist. After replacing cordless phone after cordless phone, I have now found one to keep for a while. 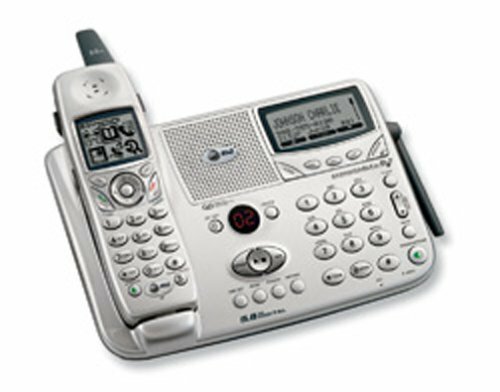 The AT&T 5800 has the best speakerphone in the industry! You can actually use it in real situations! It has the now rare battery backup feature. I rotate batteries between the handset and the battery backup compartment when ever the handset battery runs out. By never putting the handset in the cradle, this "use it up every time" method makes the batteries last a year or more. Great memory and paging functions. You have to love the blue light! I have dropped it on hard wood floors many times, unlike any other phone or TV remote, the battery and battery cover don't go flying all over. Small but crucial details for the phone connesuer. Very good cordless phone. If I had to buy another I would do it again. What gives?? Why should you pay so much for a "5.8GHz" phone system when only half of it is 5.8 GHz. Check out the PANASONIC KX-TG5100M specs, that is truely 5.8Ghz, and is what I will be purchasing due to their honest marketing. Also do not like the fact that each phone has it's own Caller ID list. And why can't they sync the time up with the information on the CID. My free CID phone does this! The phone itself sounds great even at a distance next to a computer. The display, and blue backlighting plus the general look and feel are well designed. So if you are look for a functional phone that looks great, buy this. If you are looking for honest marketing, don't bother. 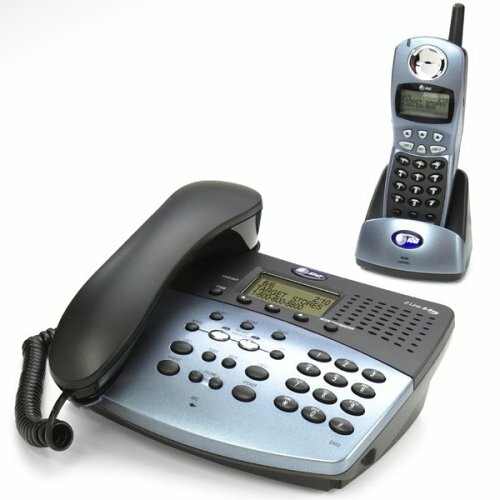 The E250 is a 2.5 GHz accessory handset designed for use with AT&T's E2525 and E2555 expandable phone systems. It operates on the 2.4 GHz band and employs frequency-hopping digital spread spectrum technology to provide a clear, accurate signal with less interference. The base systems (required, sold separately) support up to eight handsets, allowing you to place an extension wherever you need one, without an additional phone jack. 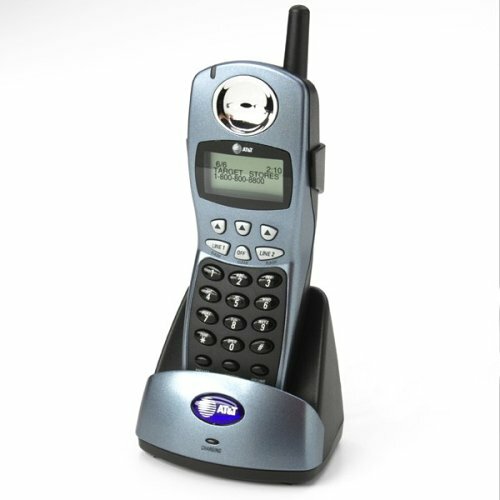 Caller ID/call waiting compatible, the E250 has a 50-number caller ID memory, while a 50-number phone directory is provided to help you keep track of important phone numbers. You can access the base answering system from the handset, and an intercom feature lets you communicate with other handsets on the system. With conferencing, you can speak with multiple parties at the same time, while the call transfer function lets you route incoming calls to another handset location. The redial button gives you access to the last 10 outgoing numbers, and the flash button allows you to access call waiting (with subscription to a fee-based service). An illuminated keypad makes dialing in the dark a snap, and a handset volume control lets you adjust levels to your liking. The E250 is headset compatible and comes backed by a one-year limited warranty. The E580-1 is a 5.8 GHz cordless accessory handset designed for use with AT&T's E5860, E5865, E5900B, and E5965C expandable phone systems (required, sold separately). These base systems accommodate up to eight handsets, giving you the flexibility to place an extension wherever you need one, without an additional phone jack. By utilizing the 5.8 GHz signal and employing frequency-hopping digital spread spectrum technology, the E580-1 offers clearer reception and at greater distances than traditional 2.4 GHz or 900 MHz models. Caller ID and call waiting compatible, the E580-1 has a 50-number caller ID memory, as well as image ID and personalized ringer options. The LCD with graphical display has an icon-driven menu to help you navigate the phone's functions, while a 50-number internal phone directory helps you to keep track of all your important phone numbers. Vibrating ringer and polyphonic musical ring tone settings are available. 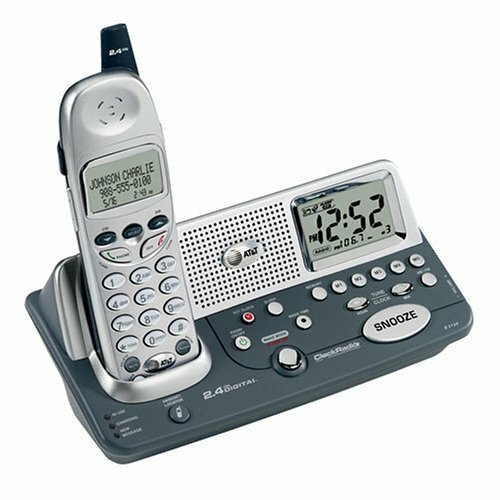 A handset speakerphone and headset compatibility provide hands-free communication methods. You can retrieve messages from the base unit using the handset, while the intercom feature allows you to speak to other handset locations. With conferencing, you can speak to multiple parties at the same time, and a call transfer function lets you route incoming calls to another handset. An illuminated keypad is provided for ease of dialing, and a low battery indicator lets you know when to return the base to its handset for recharging. Flash, hold, mute, and redial (last 10) buttons are also provided. The E580-1 comes backed by a one-year warranty. When you're out, you'll enjoy full remote operation for everything from playing and deleting messages to recording new announcements, recording memos, listening to voice help, and setting the clock. A handy two-setting toll-saver feature lets you configure the device for 2/4 (so you hear just two rings before the machine picks up when you have messages and four rings when there are none) or 4/6 (four rings with messages, six without). A telephone is not required for operation, though telephone service is.